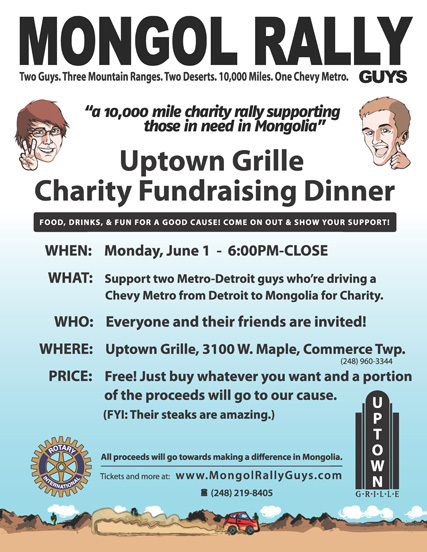 Believe it or not, there are actually two Mongol Rallies: the proper one, and a copycat one unimaginatively named the Mongolia Charity Rally. 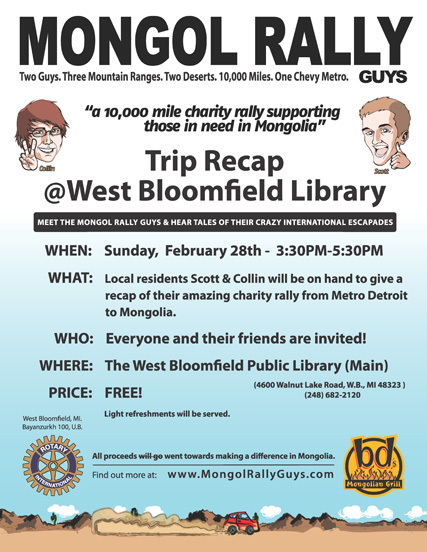 It’s a long story, but this additional rally was formed by former Mongol Rally affiliates that were unhappy with the way the original rally was being handled. 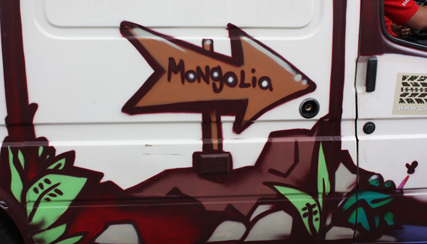 The Mongolia Charity Rally‘s entry fee is less than half of the official Mongol Rally, and there are no age or engine restrictions for the vehicles involved (which leads to some teams going all-out in custom Land Rovers…a bit too prudent for my taste!). 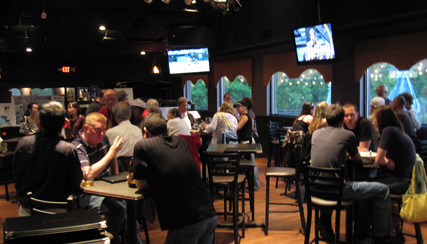 Thanks to all of you that came out nd attended our Euchre Fundraising Tournament last Saturday. Everyone had a good time and we managed to raise a fair amount of money for our charities. Only a few more days to go… Scott still doesn’t have his passport as it seems to be taking longer than usual to get through the Uzbek Embassy. The car has been picked up and ready to go, but the check engine light came back on for some unknown reason. Also, the original title seems to be stuck in US customs…we need to it take the car past the European Union. It’s always something! 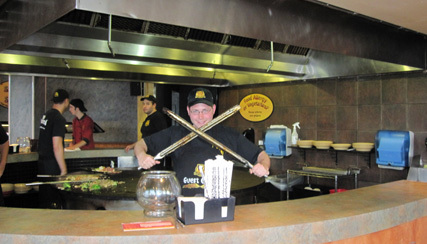 We are very close to our fundraising goal of $9000. If there’s anyone out there that wants to donate and hasn’t done it yet please go ahead and do so! We will be accepting donations through the end of the rally (and maybe a bit past that, into September).